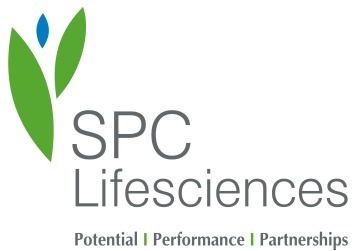 About SPC Lifesciences Pvt. Ltd..
Home SPC Lifesciences Pvt. Ltd.
SPC Lifesciences is a truly innovative and fully integrated pharmaceuticals company creating global solutions. 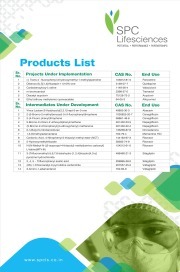 We are the leading manufacturer & exporter of a broad range of pharmaceuticals active ingredients which are extensively used in various finished doses & research laboratories. By maintaining leadership and competitiveness in various therapeutic domains. SPC's API business has ensured the profitability and growth of the company's chemical synthesizing business in addition to being one of the finest suppliers of intermediates in India & Internationally. Key Offerings : 1. 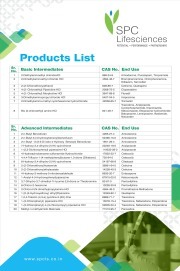 Active Pharmaceuticals Ingredients (APIs) 2. Advance Intermediates 3. Contract Manufacturing of APIs & Intermediates (with or without technology transfer) SPC Lifesciences Pvt. Ltd. is World's Largest Manufacturer of Pentoxifylline Intermediates. Categories affiliated with SPC Lifesciences Pvt. Ltd. Send inquiry to SPC Lifesciences Pvt. Ltd. Your message will be sent directly to SPC Lifesciences Pvt. Ltd. and will be answered at their discretion.